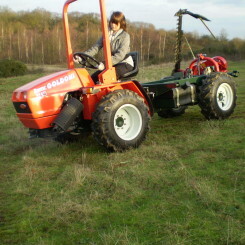 For 20 Years, BSG have been supplying and adapting utility vehicles for many different purposes. 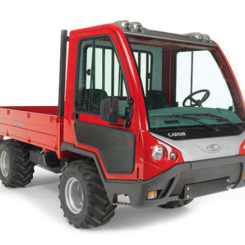 They offer the best features of the all terrain vehicle and the tractor, with 25 to 100hp diesel engines and one or two seats. 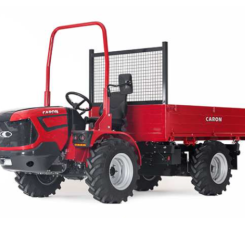 European Approval as agricultural tractor with total mass 9000 kg and towable mass of 1000 kg (unbraked). Approved with passenger seat. 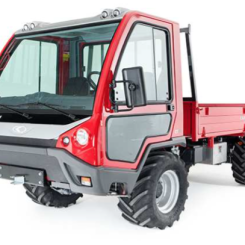 European Approval as agricultural tractor with total mass 5000 kg and towable mass of 1000 kg (unbraked) Approved with passenger seat. European Approval as agricultural tractor. Total approved mass 3500 kg, towable mass of 1000 kg (unbraked). 1 seat with safety belt.